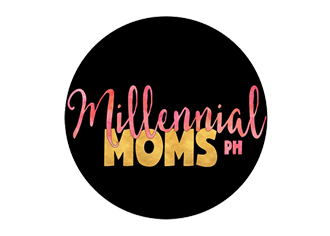 In Filipino households, doing the laundry is traditionally seen as a woman’s sole responsibility. In any case, that isn't generally the situation on our house. We don't have the conventional set-up. I am the mother yet I am the person who works exclusively and the provider of our family. My partner then again is the one in charge of dealing with the children and family unit tasks. It isn't an issue for us since I put stock in the word duty and bargain. Having a family is both collaboration so it doesn't really imply that crafted by a lady is quite recently dealing with the children and doing the clothing. I am glad for my partner in life on the grounds that as far back as I've known him, he knows how to do the clothing and different errands. On account of the move in individuals' attitudes, it isn't new any longer that men ought to likewise help in our family tasks. Breaking the stereotypes aided by Ariel’s progressive #JuanWash campaign, that backwards thinking will soon be a thing of the past. 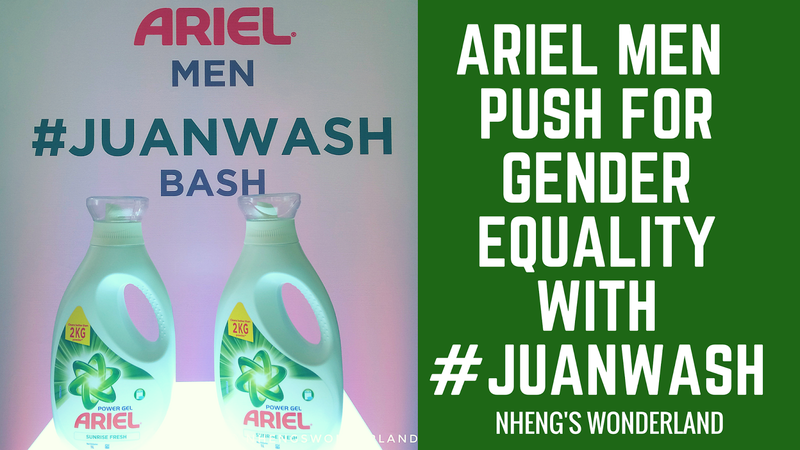 Perceiving that errands should be possible by anybody, Ariel took off the#JuanWash campaign which is focused towards men. Its objective is clear and goes directly into the core of the issue – to get men to do their offer of clothing obligations, one wash at any given moment. For Ariel men, this goes past basically doing the clothing, as it likewise demonstrates their help to their wives,and molds their kids into understanding the equal part of men and ladies in doing the family unit errands. As the main detergent to welcome men to do their piece of the housework, Ariel gathered a few big name #JuanWash ambassadors. 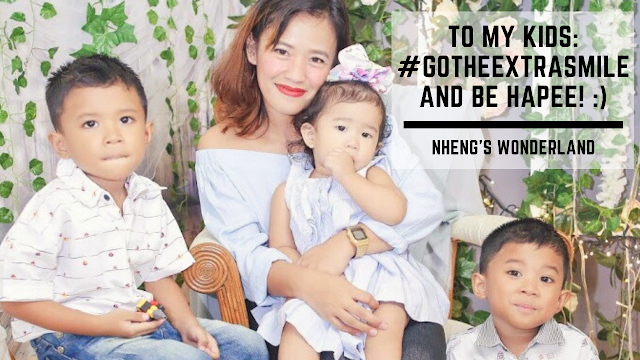 I was privileged to be one of the invited bloggers as I am happy to support this kind of campaign. Among them is professional basketball playerJC Intal, supported by his significant other Bianca Gonzalez-Intal, and also performer John Prats, upheld by his better half Isabel Oli-Prats. “The new Ariel Man is more confident and more responsible when it comes to raising his family”, explains JC Intal. More and more Juan Washers all over the country are rising up to do their share of the laundry duties, and it’s a call to arms that expresses what it means to be the modern man of the house. “Ang Ariel Men ay makabago at progresibo. Ang totoong macho ay tumutulong sa mga gawaing bahayto serve as good male role models for the kids,” adds John Prats. 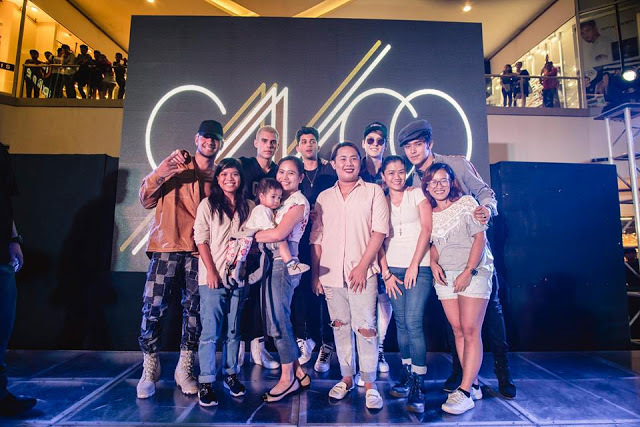 Local celebrities Kean Cipriano, James Deakin, Ali Khatibi, Marco Alcaraz, Sam Ajdani,and Anton Del Rosario are additionally dynamic #JuanWash supporters. These JuanWashers utilize Ariel Power Gel which makes prevalent cleaning easy so they can undoubtedly assist at home. Propelled online last September 1, 2017, the #JuanWash crusade not just praised those men who have done their piece of clothing obligations, yet additionally committed Fridays as #JuanWash days. Considering that most Filipino family units do their clothing twice every week, motivating men to do the clothing once seven days implies doing their equivalent offer of the heap. By motivating men to do the clothing at any rate once a week, Ariel wants to change them into laundry experts with the assistance from Ariel Power Gel that is particularly defined for better stain evacuation with only one wash. In partnership with Eat Bulaga, Ariel additionally scoured through a wide range of barangays in Metro Manila to discover Juan Washers each Friday. This put the focus on individual Juan Washers, and displayed how profitable their part is in additionally driving gender equality in the family and in the community. In so doing, Ariel Men all over the Philippines were able to collect 10,000 laundry hours in just one month, which represents the number of hours freed up for the women in their lives. 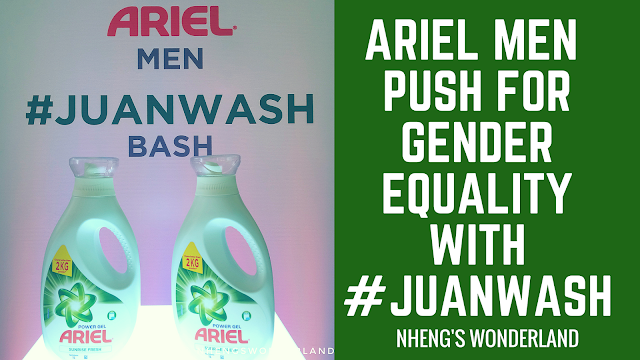 The #JuanWash battle supports P&G's #WeSeeEqual worldwide promotion, and structures some portion of Ariel Philippines' #AhonPinay movementwhich keeps on pushing the limits on gender equality and women empowerment. To date, Ariel has an ongoing partnership with the Technical Education and Skills Development Authority (TESDA) to furnish ladies with preparing in generally male-commanded fields. These trainings are imagined to give these ladies more equivalent openings for work in these fields. A considerable measure is in store for Ariel's #JuanWash activity, and we trust you can likewise participate in getting the message out for this across the nation movement. Go ahead and be a piece of the change by adding to your offer of the family unit errands with #JuanWash – one wash at any given moment. In appreciation to the advanced Juans, Ariel is likewise offering a unique appreciation for men who would be availing of select services from Metropole Laundromat branches. Every time men commit to the cause in this way, they’ll earn points for freebies granted by Ariel and Metropole as a gift to the efforts shared in supporting #JuanWash Fridays. To learn more, visit Ariel’s website, Facebook, and Youtube page.Youtube page.